I don't mean to go on endlessly about gender and cars, but I will bring up two last stories. 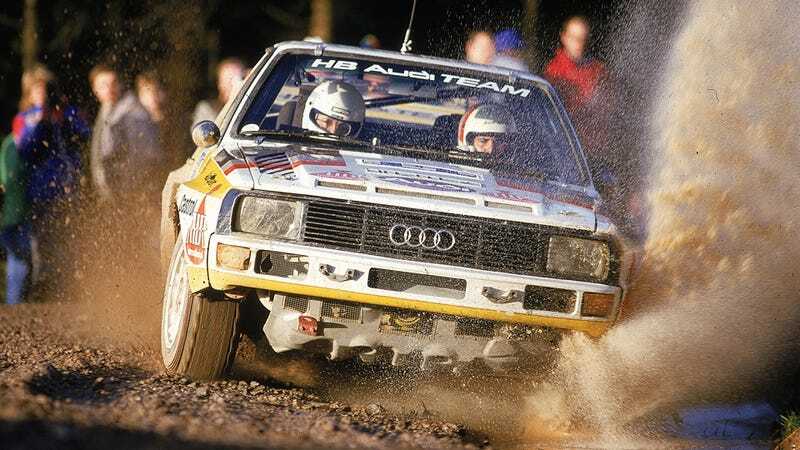 The first is of Michèle Mouton, rally driver for Audi in the early Group B era and one of the most successful women in motorsports. Her near-win in 1982 was remarkable. She came second in the World Rally Championship that year, but for a nigh-unbearable Rallye Côte d'Ivoire. Leading the rally by over an hour, she steadily lost time while the in-car temperatures reportedly rose to nearly 160 degrees Fahrenheit. Her father had died just before the rally, but wished her to race and win. Mouton was even with the championship leader Walter Röhl when she rolled her car. She lost her father and she lost to a man who went on the record denouncing her gender. I would have accepted second place in the championship to [Hannu] Mikkola, but I can't accept being beaten by Michele. This is not because I doubt her capabilities as a driver, but because she is a woman. While we were looking into sexism in car culture and what to do about it, daleinohio told another story of women excelling in the world of cars while others expected nothing. I worked at an auto parts store in college. Our top counter person was a woman. People would come in and she would try to help them and they would say, "Go find me a guy to talk to." So she would come get me and I would come out to help. I would listen to their issue then turn to her and say, "I have no idea on this one...what do you think?" And she would proceed to make their mouth drop with her knowledge. I would then tell them, "You should have stuck with her...she knows what she's doing." That was always fun.